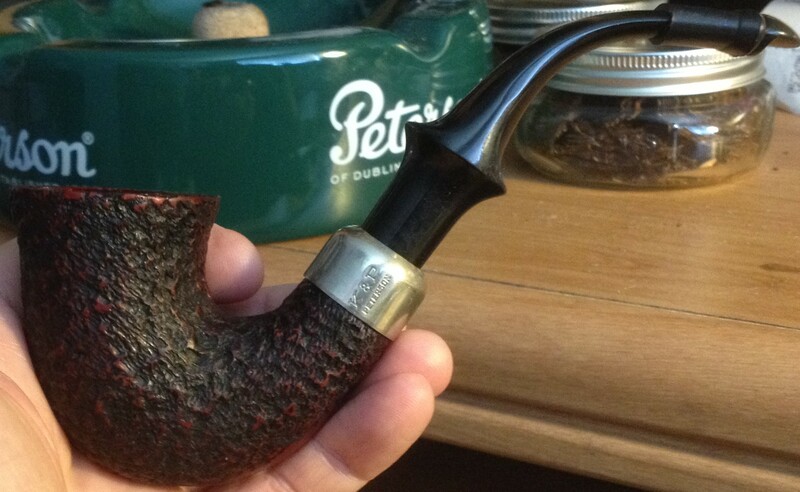 Home Pipe Smokers Forums Forums What Are You Smoking? "Hair O' the Dog" in the same MM Diplomat as before. 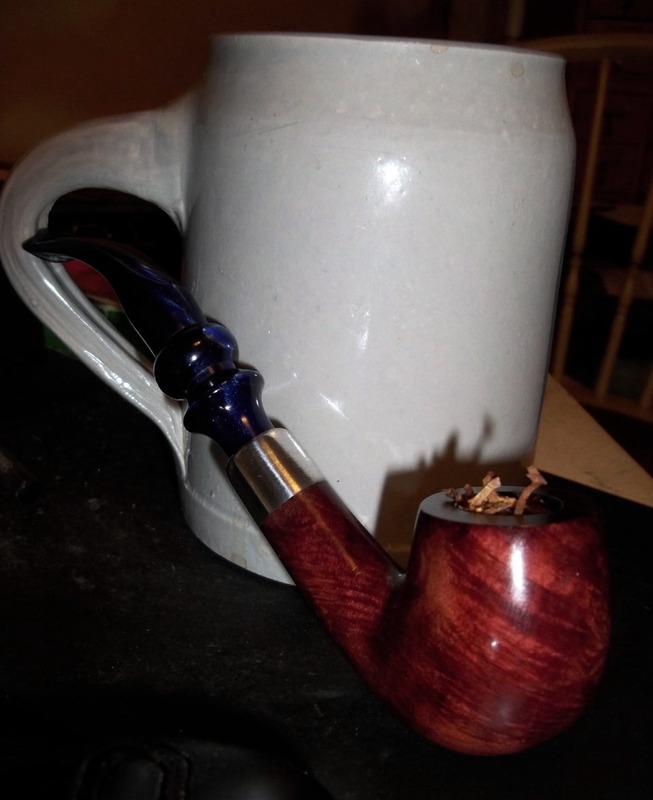 I dunno what it is about this pipe, but everything I smoke in it burns down to almost nothing for ash. 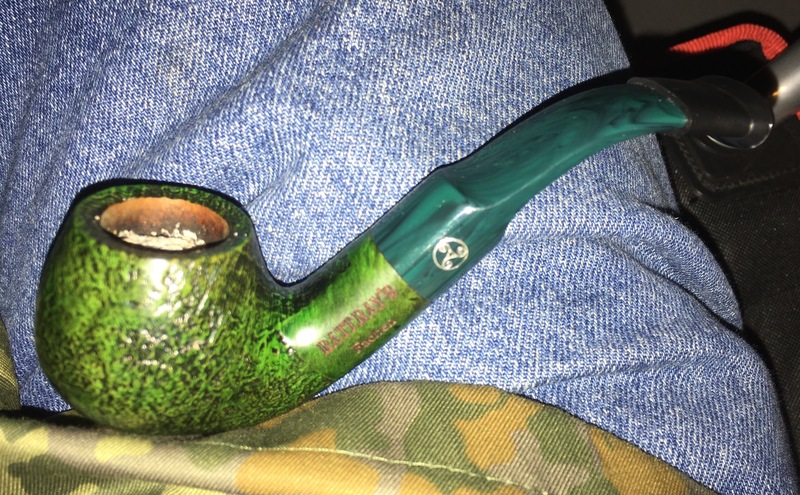 I know that's supposed to be more about the tobacco than the pipe, but I don't have that result with other pipes (with the same tobaccos). Since I'm not very bright, that continues to be a source of amazement and wonder! Cobs and Clay are the only pipes where I see this happen too. I honestly think it has more to do with the pipe. It's pretty cool, I think. Never smoked a clay before, though. EDIT- Smoking this cob lately has reminded me of how great smokers they are. I'm thinking that I might invest in a couple of the fancier ones MM is making, and put away the briars for a while. 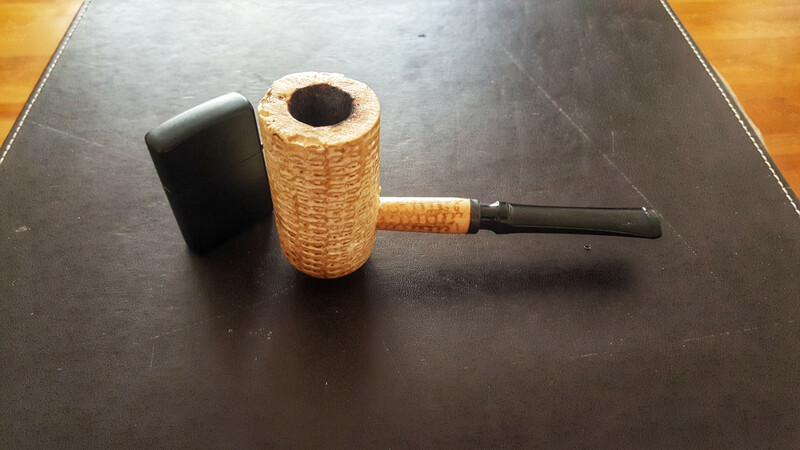 These cobs are just so danged easy to smoke! Special Virginia / Three Sails Mix . 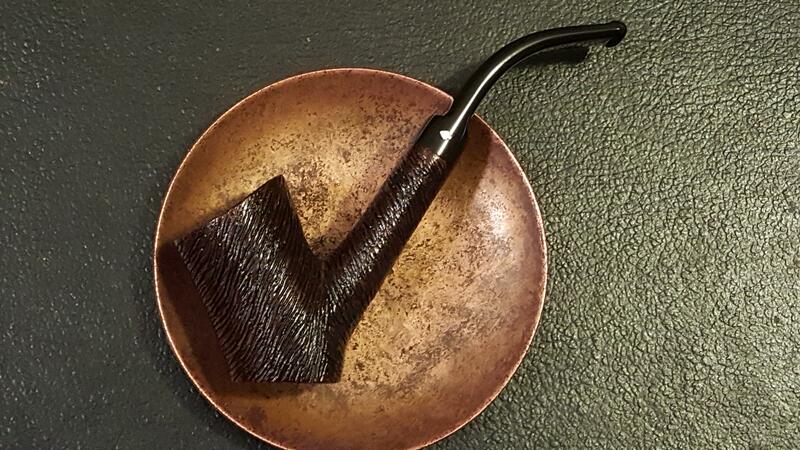 . . Falcon w / Bantam Algiers (Small Bowl) . . . Diet Soda. Some VaBurPer in the XL305. So far this evening I have gone back and forth between Bosun and Kendal #7. Including while taking a mostly housebound friend's big dog out for a good walk (which included buying him a few bones!). There's not much better than good tobacco, a happy dog, and the sound of snow underfoot.